From South Congress Avenue in Austin, Texas, you have a great view of the Austin Skyline and the Texas State Capitol. 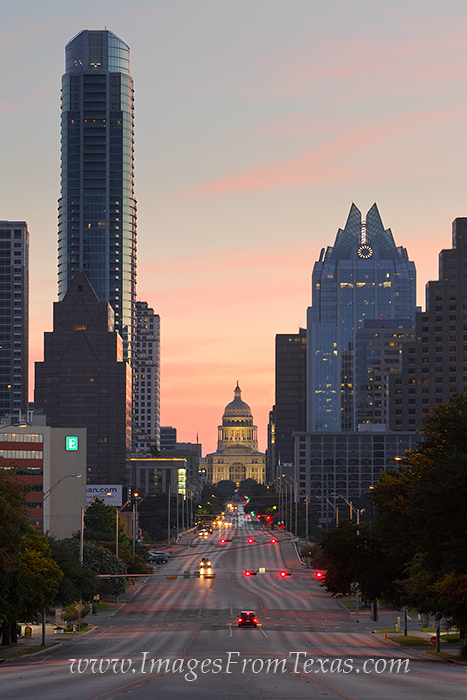 This vertical image of Austin features the iconic Frost Bank Tower on the right and the Austonian on the left, with the Texas State Capitol glowing in the soft light of early morning. Photo © copyright by Rob Greebon.